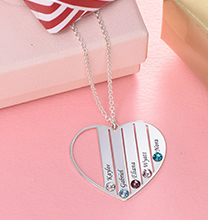 Treat someone you love to our spectacular Engraved Heart Necklace in Gold Plated! A gorgeous piece with lots of stunning details that add up to one versatile, go-everywhere accessory, it makes the perfect love pendant. At the same time, it’s a great choice for that mum or grandma with two little ones to celebrate! The pendant is unique, with sleek, contemporary details that give it a sophisticated layered look that draws the eye toward the centre. 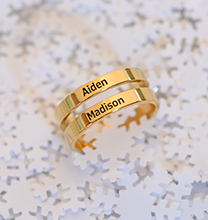 With a pair of thicker bands on one side plus five slender bands on the other, it features a pair of inscriptions, along with two corresponding birthstones. 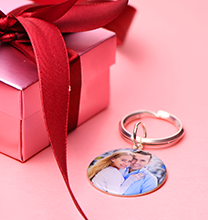 These personal touches might signify yourself and your significant other, or they may celebrate the special bond you share with your mum or grandma. Of course, they may also be used to celebrate two children! 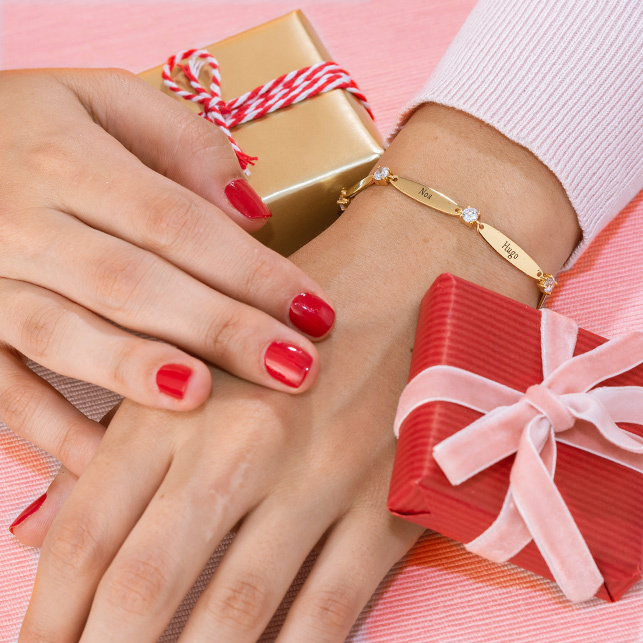 If you like, you can also create a unique inspirational piece of jewellery by choosing stones in the wearer’s favourite colour or colours, along with meaningful words to provide a bit of encouragement for daily life. The sky really is the limit! Once you’ve decided on custom touches to make the pendant one of a kind, our artisans will carefully complete each and every detail to order. 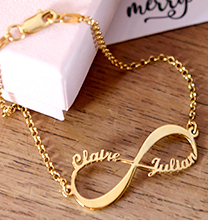 This exquisite necklace is made with 18ct Gold Plated Sterling Silver (0.925). The pendant hangs from a matching Gold Plated Bead Chain, which adds even more texture to the necklace! 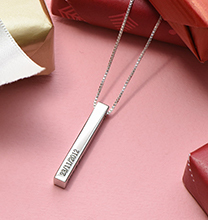 You’ll find plenty of jewellery with heart themes when you visit our collection, including this sleek, sophisticated style in your choice of Sterling Silver or 18ct Rose Gold Plated.